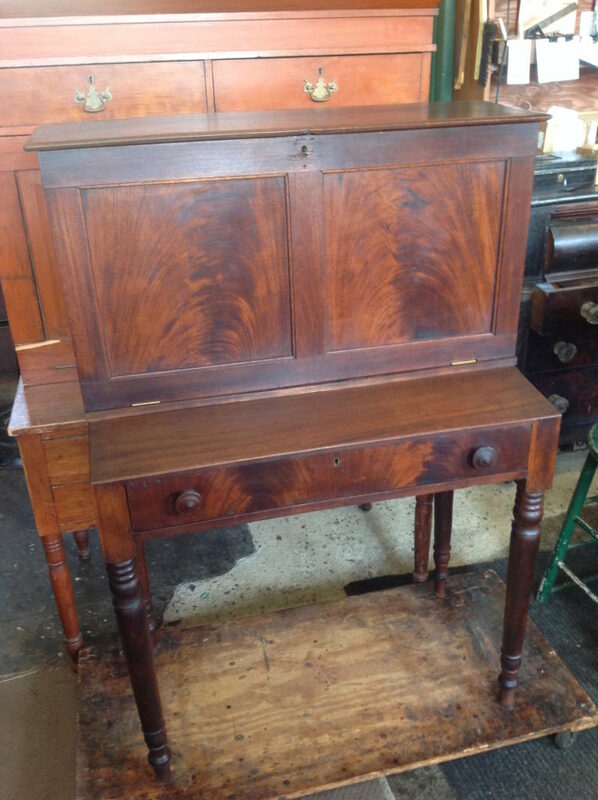 This circa 1840 mahogany “plantation desk” was beautifully constructed but had suffered the ravages of time. 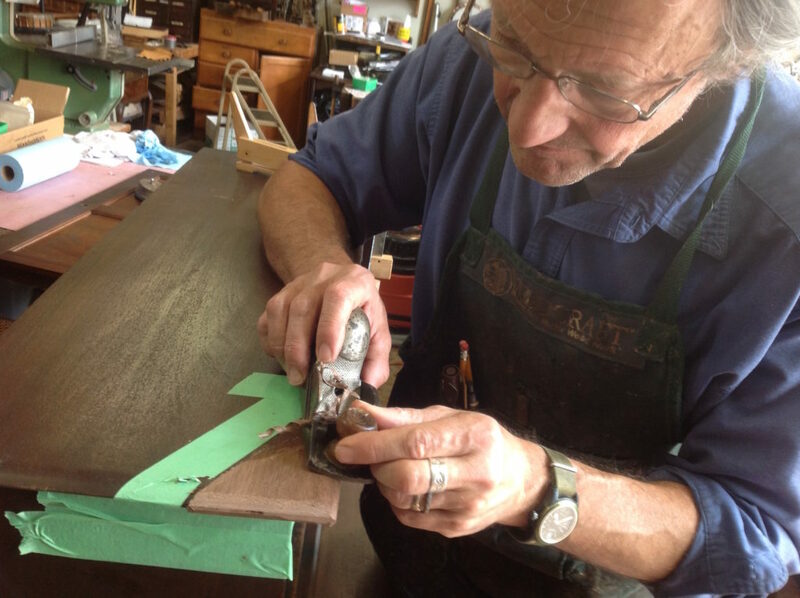 Eric Clingen, The Restoration Craftsman, at his craft. 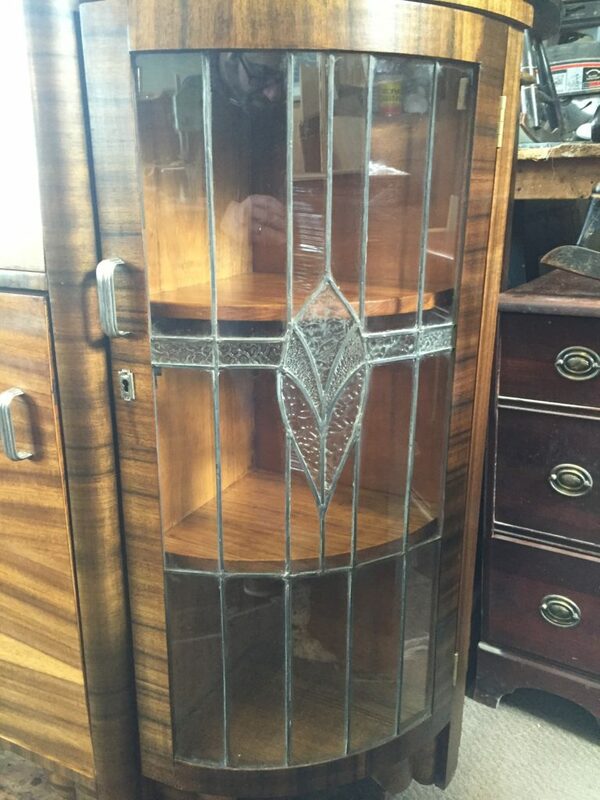 The carefully selected flame grained veneer had cracked, chipped, and bubbled. 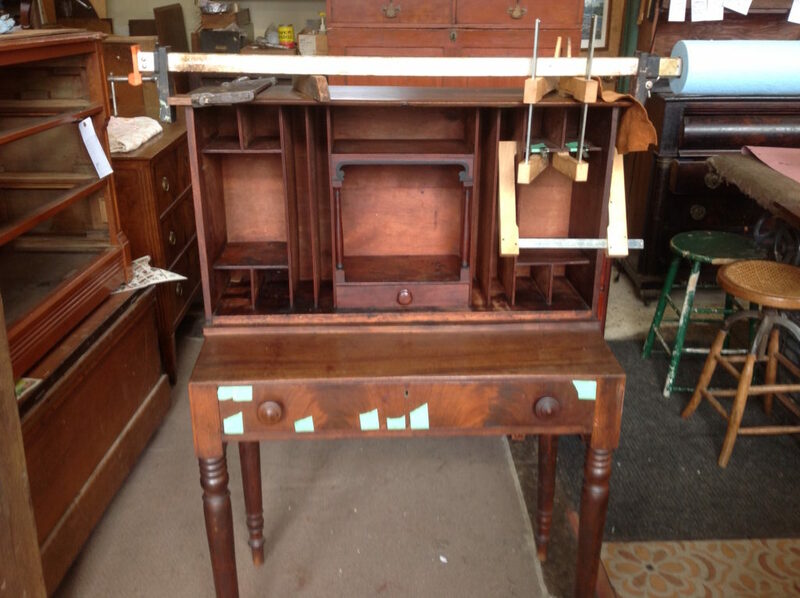 The top had lost an portion of one corner long ago, and was begging for restoration…. 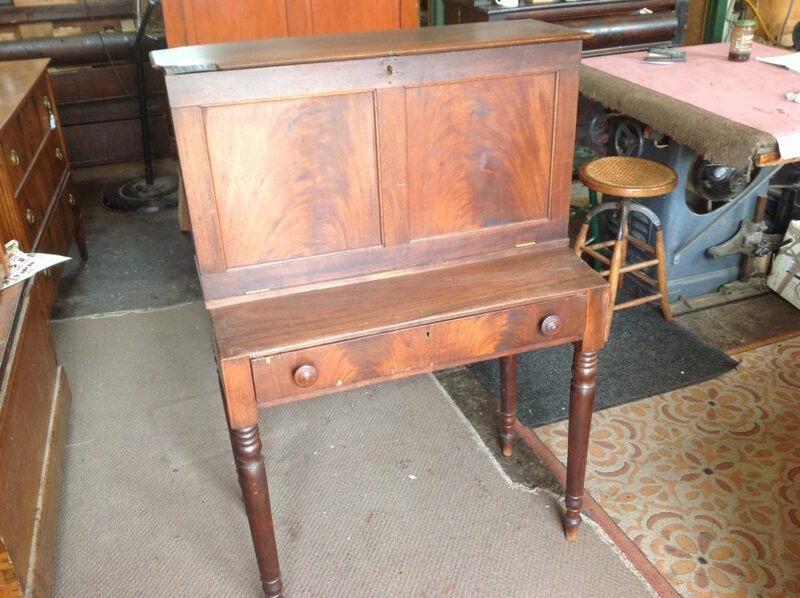 After replacing all the missing material, resetting the veneer with traditional hide glue, and recreating the 140 year old finish to match, the desk was given a final wax polish and sent on its way. 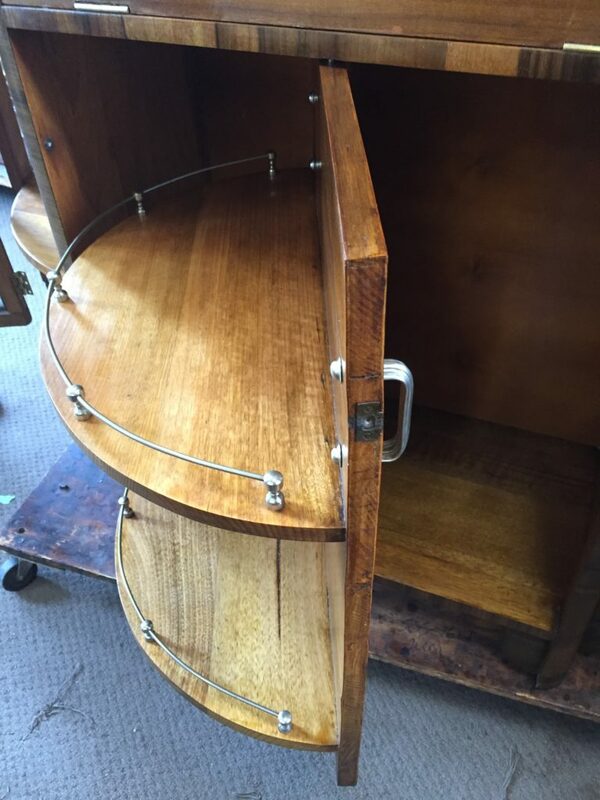 This was a great piece and a satisfying project! 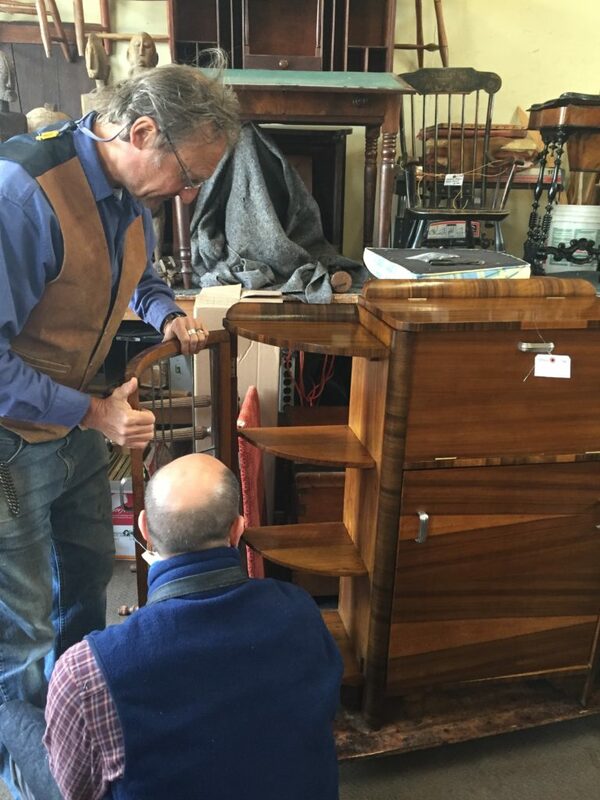 Tarrytown Woodworks owner, Eric Clingen, is an expert restoration craftsman. 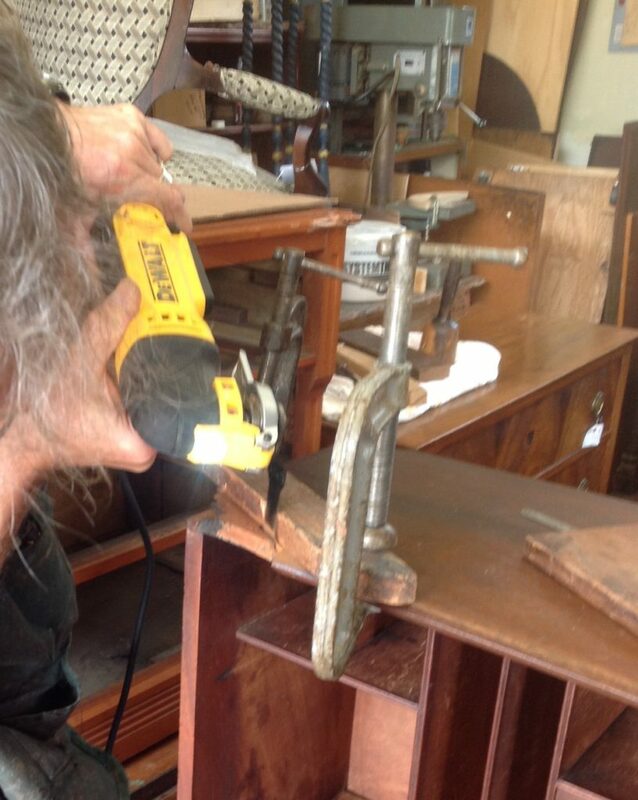 He specializes in repairing and restoring fine antique furniture. 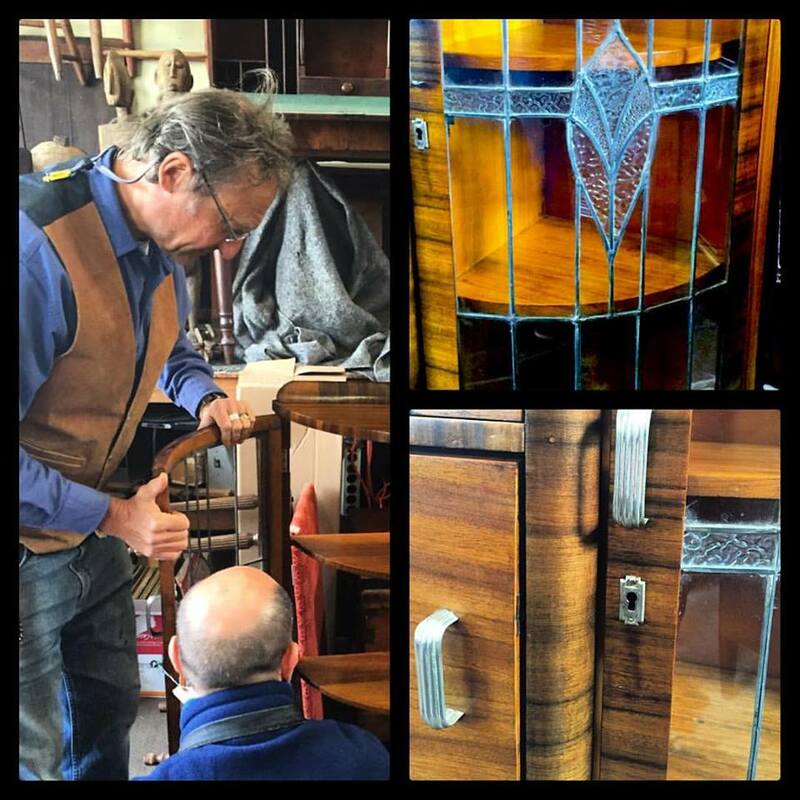 Here he and his assistant, Terry, finish up a fine art deco liquor cabinet damaged in a family move from Australia to New York. 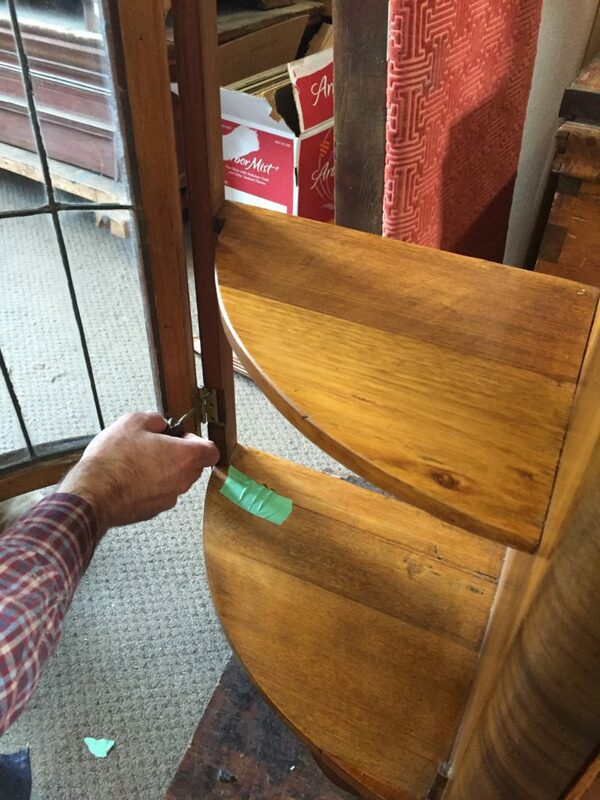 There was damage to shelving, glass, hardware and the wood veneer. 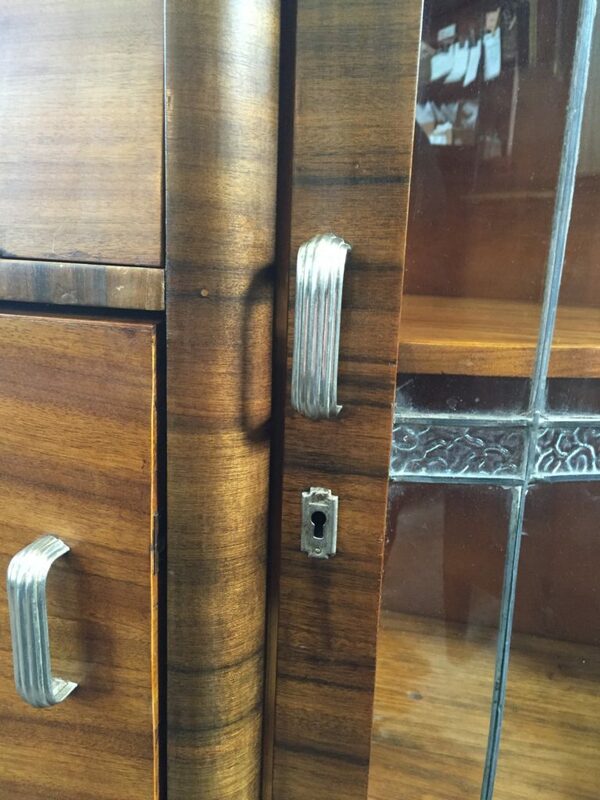 He replaced and replicated the glass doors and repaired damage to the shelving and the art deco era hardware. 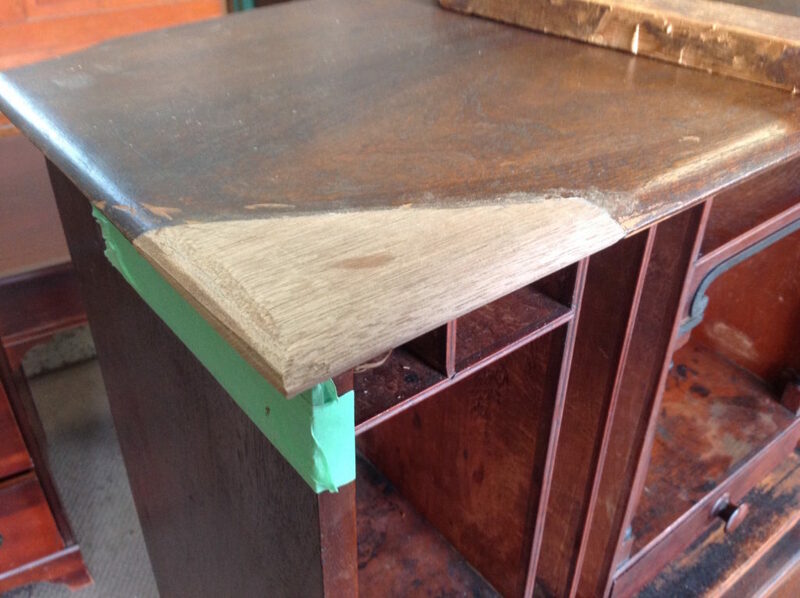 Finally he repaired and refinished damaged veneer, followed by cleaning and polishing the entire piece. Check back soon for more projects, news and updates!